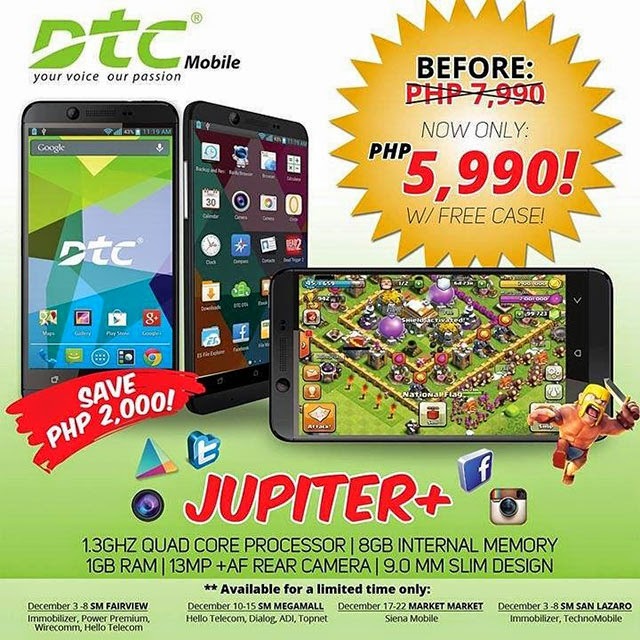 While Christmas Holiday is approaching, DTC Mobile is giving a big discount on their 4.7-inch quad core android smartphone called DTC Mobile Jupiter Plus. Consumer can avail ₱2,000 off, this means from its regular price ₱7,990 down to ₱5,999. This promo is available for a limited time only.